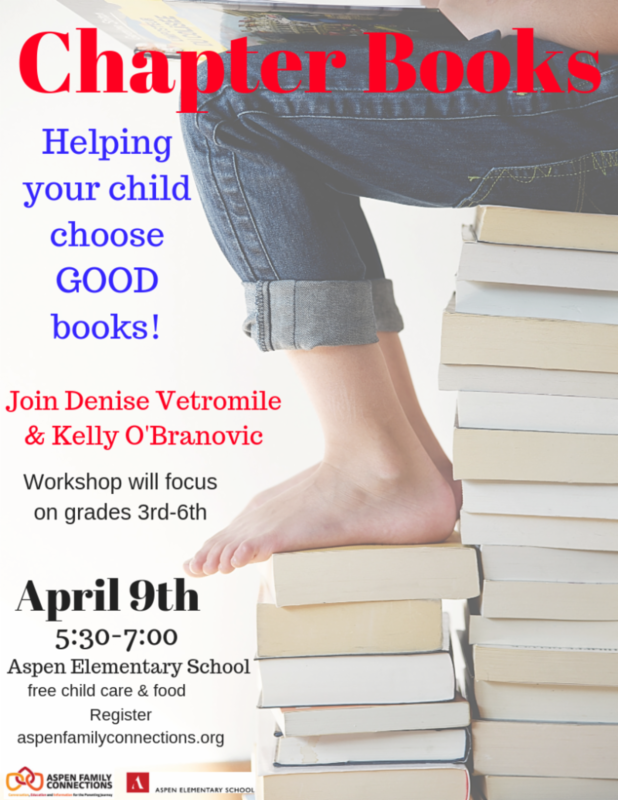 There are so many books out there to choose from… this workshop will show you how to support your developing, dormant or underground reader. What they are reading DOES matter! If you have kids who are ready for chapter books, but keep picking ones you don’t love, kids who won’t pick up a book even though there are great ones out there or kids who read and read but you can’t get them to try a new genre...we can help! Come to this informational night that will even inspire you to read some new great books. Before summer hits, get some parenting priorities into place. 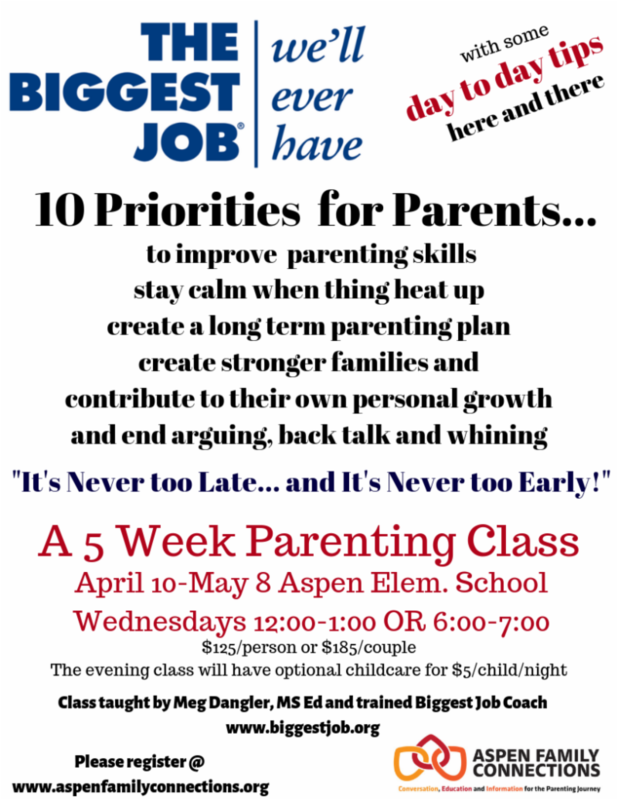 This 5 week class will support you setting up a long term parenting plan as well as provide day to day skills. You can choose from a day or evening class or mix it up based on your week! The book The Biggest Job We'll Ever Have is recommended for this class. Books will be for sale at the first class. A evening discussion on ways co-parenting through divorce or separation can be successful. We will have supports from the community, legal, counselors and school based support to answer your questions and help guide you to doing what is best for your kids! 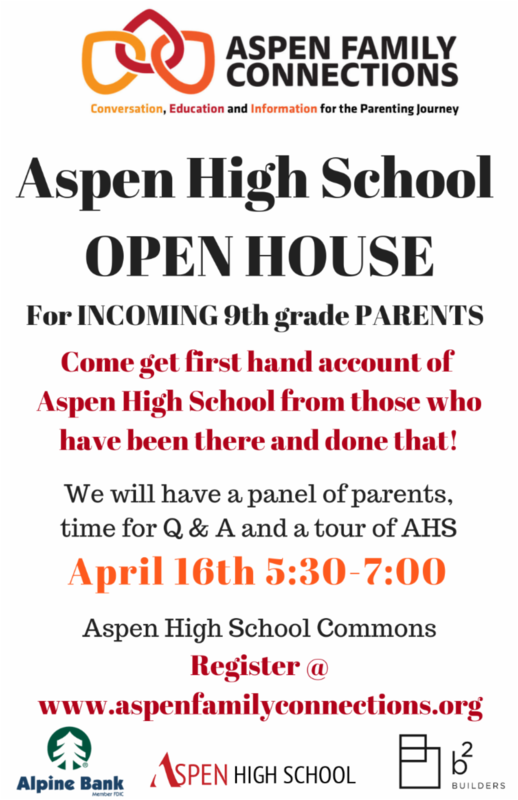 Come get first hand account of Aspen High School from those who have been there and done that! Jenna Barclay, ASD Curriculum Director will share powerful research on the “summer slump”. Meg Dangler, AES Reading Specialist and Lauren Nitti, AES Math Specialist will share information, reading list, math activities and creative ways to keep your kids reading, writing and math over the summer. Aspen Family Connections is only able to offer these workshops and events due to funding from our community! If you have been impacted by our programming and would like to donate, we would so appreciate your gift. Nothing is too big or too small! When you donate through the Aspen Education Foundation, please make a note that your donation is for Aspen Family Connections Events.